Is your hot tub cover too heavy? If so, it is probably water logged and will no longer be insulating your tub properly. Look at your cover on a frosty morning. Is there a line of no frost spreading along the hinge? If so, when it's time to purchase a new cover, invest a little more in one with a continuous heat seal along the hinge to stop this heat loss happening. If the frost is melting off your hot tub cover before it is melting from the surrounding areas in the garden then it needs more insulation! Adding a thermal blanket will add another layer of heat protection to your hot tub and will be less expensive than buying a thicker thermal cover if your hot tub cover is still in good condition. Water evaporation accounts for 70% of heat loss in hot tubs and a 12mm Thermalux cover reduces water evaporation and heat loss by up to 90%. Try installing wind breaks around the hot tub. Most hot tubs today enable you to heat the water to 40° C. This is very warm and can feels great when you are ready to rest and relax in your hot tub. However, maintaining this temperature, especially in cold weather, will use a lot of energy. When you know you are not going to be using your hot tub for a few days, try turning the heat down to 35° C or even lower. You'll be surprised at the reduction in your monthly heating bills, and it will only take a few hours to heat up to your desired temperature when you want to get in. Keeping your filter clean isn't just a healthy thing to do. A hot tub that has a dirty filter and, consequently, poor water flow will have to work much harder, and use more electricity, to filter and heat the water. Clean your filters every 2 - 4 weeks, preferably using a powdered filter cleaner. 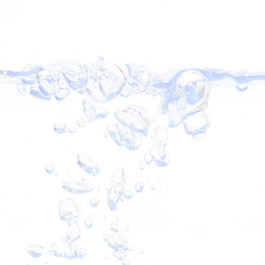 Powdered filter cleaners are much better at removing limescale from the filtration material than liquids or sprays. 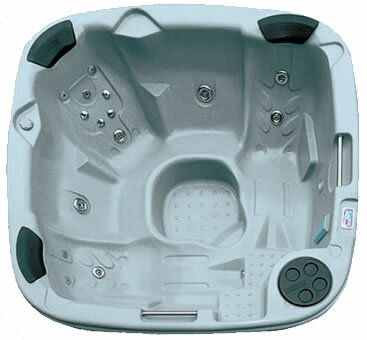 Turn hot tub jets off when it is very cold and your tub is not in use (but not the jets that are used by the automatic filtration system). Air induction jets are wonderful features that provide a soothing massage, but leaving them open all the time will allow cool air to leak into the water and lower the water temperature. Powered air blowers consume a lot of energy and will lower the water temperature rapidly by injecting a lot of cold air into the water, so, if you haven't got a separate circulation pump, make sure that your air blower isn't coming on during the filtration cycle. At each water change use a spa flush to clean biofilm and calcium deposits from the pipe work and heater element. This will help maintain unimpeded water flow and keep your heater element working efficiently. The absolutely worst thing for your hot tub cover is to use too much chemical in your water. Chlorine, bromine and active oxygen all degrade both the vinyl and, particularly, the plastic wrapping around the foam inserts inside the cover. Because of the chemical reaction that takes place, over time the plastic will become brittle and crack, allowing the foam to become waterlogged and causing the cover to stop insulating properly. You can't stop this happening but you can slow the process by making sure that you don't use too much chemical in your water. If you do accidentally overdose then leave the cover off and replace a portion of the water with fresh tap water until the desired chemical concentration is restored. Better still, use Aquagarde! 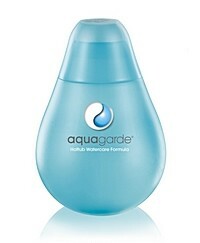 Aquagarde uses silver as the sanitiser and so it won't irritate your skin or degrade your cover. Should You Use Enzymes In Your Hot Tub? Foaming water? Don't reach for the FoamAway! Our top tips for the best hot tub party - ever!